Every month, FOX 40 brings you an in-depth look into one of many historic landmarks across the Southern Tier. Join us as we take you through the history of these Legacy Landmarks, their past and their future. Every first Thursday of the month, we take you inside buildings that shape our area's rich and fascinating history. 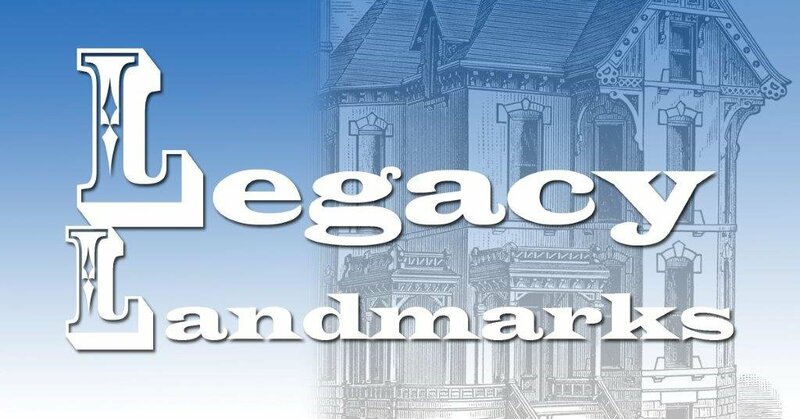 From mansions and museums your may be familiar with, to hidden gems that will give you a fresh look into our past, Legacy Landmarks will give you a new look at vintage buildings. Take a Tour of the Tiers! Driving around the hills off of Lower Stella Ireland Road in Johnson City, you may have come across "the wooden church" overlooking the valley. Sacred Heart Ukrainian Catholic Church stands out, while also fitting in with the landscape around it. When Ike and Julie Lovelass bought the house at 249 Front Street in Owego, they had no idea who Belva Lockwood was. Now, it's her name that hangs on the sign in front of the inn. The Landmark Church on Court Street in Binghamton has seen plenty of changes since being built in 1866. For one, the name changed. It used to be called Centenary Church. It's one of the oldest churches in Broome County and this year the Union Presbyterian Church is celebrating its bicentennial. The past 200 years have been eventful to say the least. Impressive is the word that comes to mind when you walk into the Goodwill Theater in Johnson City. Even though the seats have been stripped out and the plaster is crumbling, you can see signs of its former grandeur. By any standards, the three Johnson brothers - George F., C. Fred and Harry L. - who were at the helm of Endicott Johnson, one of the world's largest shoe companies would be considered rich. When fall comes to the Southern Tier, the Cider Mill doors open. A visit to the Endicott business is a tradition that spans generations. Sitting in a shady gazebo, Dean Ottaway is clearly eager to tell his stories to a new visitor. Once referred to as Millionaires Row, the section of Riverside Drive closest to downtown was once home to the whose who of Binghamton. Among them: grocery tycoon Patrick McTighe. You've probably heard about George F Johnson the businessman and the philanthropist, but what about George F the matchmaker? That 3 hour bus trip to Port Authority is one of the perks of living in Binghamton. While parts of that bus ride have changed, like Wifi and phone charging, a lot of the Binghamton bus experience has stayed the same. Exterminator: Beating The Odds To Become "Most Beloved Race Horse"
The Kentucky Derby is just around the corner, which is why May's Legacy Landmark is not about a 'what,' but a 'who.' This year marks 100 years since a Binghamton horse beat the odds and won it all at the 1918 Kentucky Derby. Exterminator. Blink and you'll miss it. No historic marker, no plaque... What looks like a 2-door garage in Lisle isn't something that would compel you to stop on your way down Main Street. That "garage" was once the Lisle Village Hall, and it has a claim to fame as the place where the first women voted in New York State. Driving through Binghamton, it's clear there is no shortage of historic homes on the city's west side. But it's a house tucked away on Pine Street downtown that is listed as a National Historic Landmark. Swart-Wilcox House: "We're Amazed It's Still Standing"
With no street address, the oldest house in Oneonta sits on what's left of the land bought by Revolutionary War soldier Lawrence Swart, who built the home in 1807. Swart may have built the house, but it would be the Wilcox family who lived there the longest. Fox 40 continues our series to give you an inside look at some of the region's legacy landmarks. In May, we take you to the Oxford Memorial Library, which connects back to early history in the Chenango County town. The Cady Library is in one of the oldest houses in Nichols. Built in 1828 by Nehemiah Platt, the mansion was passed through generations. Doctor George Cady Junior inherited the house from his father in the late 1800s.